Everything is now connected and smart. We now have the ability to instrument, measure, sense and interconnect anything we care about, including physical things like cars, appliances, roadways and pipelines, as well as entire ecosystems like supply chains, business processes, cities and healthcare networks. It would not be unfair in this context to say that Big Data has gone mainstream where massive amounts of data are generated each second. It is a sort of an umbrella term that encompasses everything from digital data to health data to the data collected for years and years of paperwork issued and filed by the government. Data is not only becoming more available but also more understandable to computers. Most of the Big Data culture is data in the unruly forms like words, images and video on the Web and others like streams of sensor data. It is not hard to find databases with Petabytes of data in enterprises and research facilities. There is invaluable information and knowledge �hidden�' in such databases. knowledge �hidden�' in such databases. Now, as the data is growing �Big Data�' is currently a focus of interest among public and private organizations, governments, research institutes and companies operating in diverse fields as health, security, commercial recommendations, detection of anomalies and future trends among others. Data is coming at a faster speed, from various sources in various forms and its variety exceeds the abilities of an information system to ingest, store, analyse, and process it. The main objective is to recognize and extract meaningful information (patterns, structure, underlying relationships, etc.) from huge amounts of heterogeneous data. This task is complicated by new, significant storage and processing requirements due to unprecedented volumes of data. In this scenario, new algorithms in Pattern Recognition and related fields like Machine Learning and Data Mining are being devised. Well known techniques are also being revisited and adapted to these new challenges. Computational Intelligence is a very broad term for anything that has to do with machines doing reasoning-like or sentient-appearing activities, ranging from planning a task or cooperating with other entities, to learning to operate limbs to walk. Machine learning evolved from the study of pattern recognition and computational learning theory in artificial intelligence. Pattern Recognition and Machine Learning are like two sides of the same coin. However, there are certain pattern recognition tasks that do not require learning and thus sets them apart as two different fields. Data Mining, takes Machine Learning and Pattern Recognition (the techniques that work with the data) and wrap them in database, infrastructure, and data validation/cleaning techniques. This talk aims at presenting the link between fields of Machine Learning, Pattern Recognition, Data Mining and Big Data analysis and discussing their future development. The first part of the talk will start with the concepts of learning. It will encompass a discussion on dimensionality reduction techniques for high dimensional data and data pre- processing. Pattern Recognition principles like classification, clustering etc. will be discussed in the second part. The third part will provide an insight to the concept of Knowledge Discovery in Databases including rule mining and decision trees. In light of that, the difference between Pattern Recognition and other domains will also be discussed. In the fourth part, the paradigm shift to Big Data analytics will be shown where the basic roots still lie in the Machine Learning, Pattern Recognition and Data Mining. New platforms for Big Data analytics will be the final part of the talk. Ashish Ghosh is a Professor at the Machine Intelligence Unit, Indian Statistical Institute. 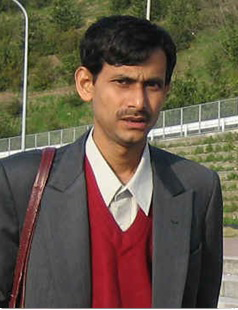 He has already published more than 170 research papers in internationally reputed journals and refereed conferences, and has edited eight books. His current research interests include pattern recognition and machine learning, data mining, big data analysis, image analysis, remotely sensed image analysis, video image analysis, soft computing, fuzzy sets and uncertainty analysis, neural networks, evolutionary computation, and bioinformatics. Dr. Ghosh received the prestigious and most coveted Young Scientists Award in Engineering Sciences from the Indian National Science Academy in 1995, and in Computer Science from the Indian Science Congress Association in 1992. He was selected as an Associate of the Indian Academy of Sciences, Bangalore, India, in 1997. He is a member of the founding team that established the National Center for Soft Computing Research at the Indian Statistical Institute, Kolkata, in 2004, with funding from the Department of Science and Technology, Government of India, and is currently the In-charge of the Center. He is acting as a member of the editorial boards of various international journals. Cognitive systems, such as IBM Watson, can transform how organizations think, act, and operate in the future. This IBM Redguide™ publication describes how Watson combines natural language processing, dynamic learning, and hypothesis generation and evaluation to give direct, confidence-based responses. Rob High is an IBM Fellow, Vice President and Chief Technology Officer, Watson Solutions, IBM Software Group. He has overall responsibility to drive Watson Solutions technical strategy and thought leadership. As a key member of the Watson Solutions Leadership team, Rob works collaboratively with the Watson engineering, research, and development teams across IBM. 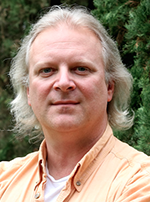 Prior to joining the Watson Solutions team, Rob was Chief Architect for the SOA Foundation and member of the IBM Academy of Technology, Rob championed an open industry architectural definition of the principles of business and IT alignment enabled by SOA and Business Process Optimization, as well as ensuring IBM's software and services portfolio is architecturally grounded to enable for efficient SOA-based solutions. This responsibility extended across the IBM software portfolio, including WebSphere, Rational, Tivoli, Lotus, and Information Management offerings. Rob has 37 years of programming experience and has worked with distributed, objectoriented, component-based transaction monitors for the last 26 years, including SOMObject Server, Component Broker, and the WebSphere Application Server. Rob previously served as Chief Architect for the WebSphere foundation with architectural responsibility for the WebSphere Application Server and the related products integrated on that core runtime.